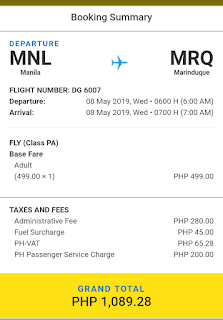 Pay Day Fly Day discounted airlines fare offers several flight dates that travelers that select on. 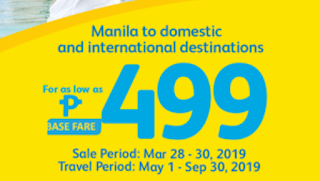 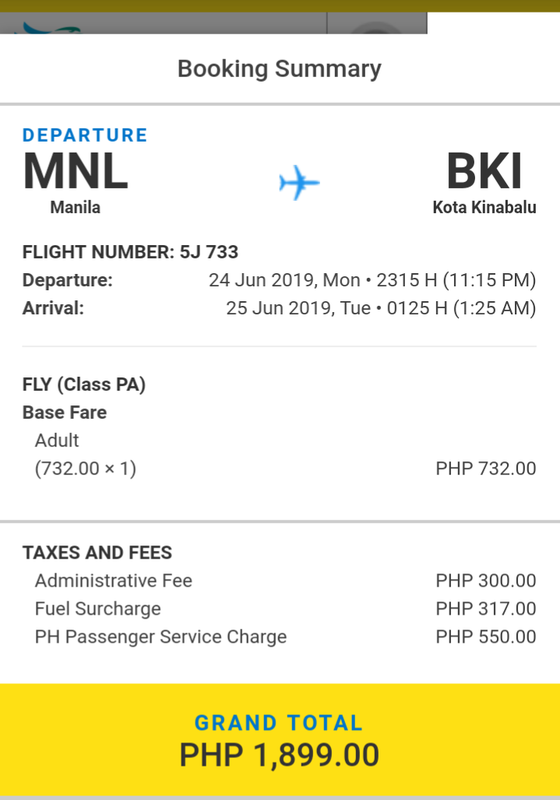 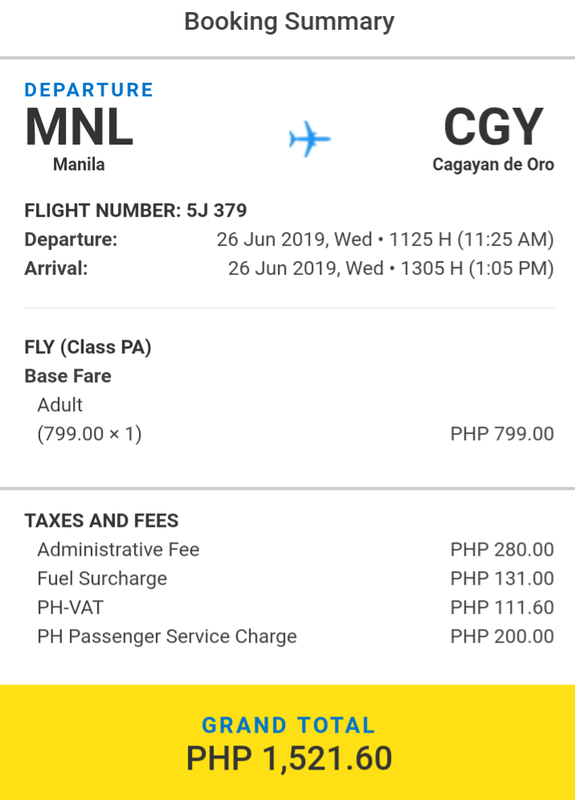 As stated, Manila to Domestic and International meaning majority flights with Manila route are part of the sale especially for new routes such as Marinduque with 499php base fare reaches 1089.28php only. 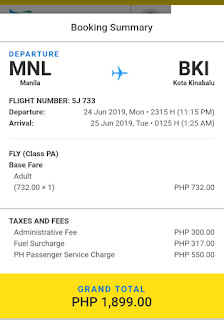 Sample booking is shown belowwith terminal fees, web admin fee, and other airport fees. 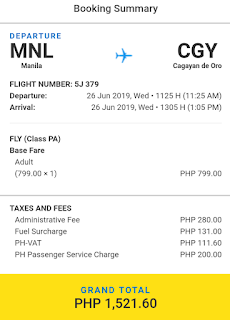 For common flight route, Manila to Cagayan de Oro and vice versa for 799php base fare reaches 1521php only. 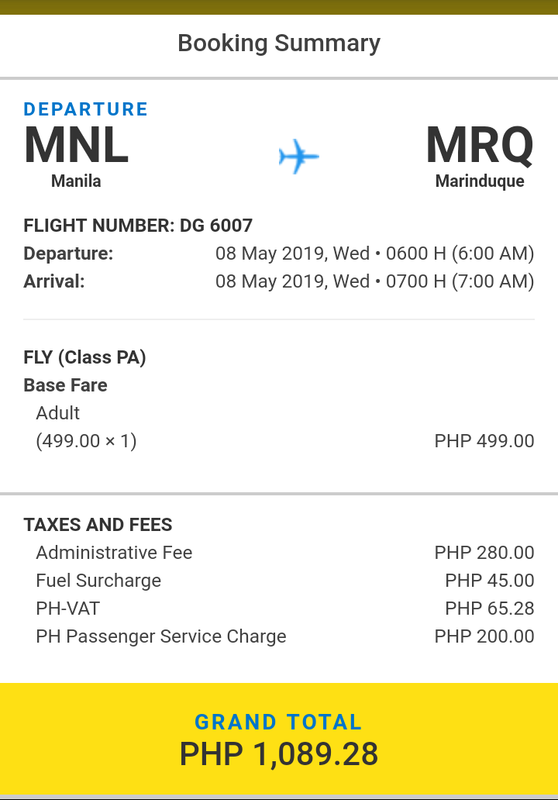 Sample booking is shown below with terminal fees, web admin fee, and other airport fees. Travel period is May 1, 2019 to September 30, 2019.